Good. Light wear to boards. Content is clean with some foxing and sticker/pen mark on front pastedown. Good DJ with some edge wear/tears with some tape repair, creasing and is price clipped. Very Good. 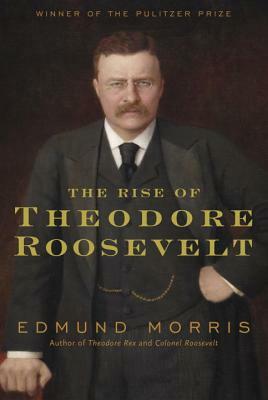 The Rise of Theodore Roosevelt by Morris, Edmund, 1998-08-31. Trade paperback (US). Glued binding. 896 p. Contains: Illustrations. Very Good. The Rise of Theodore Roosevelt by Morris, Edmund, 1979-07-09. 912 p. 31ill. this is a good read, not dry or dull like alot of biographies. it's a very long book but full of detail about day to day goings on. i'm going to read the two following t.r books when i finish this. signs of their destiny when they are young. And there are late bloomers like Reagan. in the same vein as Dutch. There are no fictional friends here.